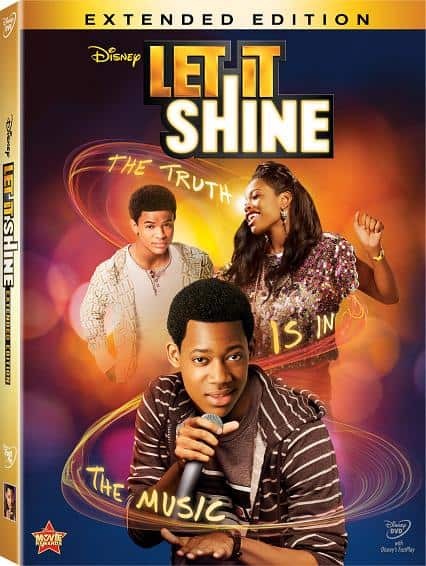 Let It Shine Debuts on DVD + Digital Copy on August 7, 2012! Celebrating family and friendship, the story unfolds in Atlanta, Georgia, as Cyrus DeBarge (Tyler James Williams) and his best friend Kris McDuffy (Trevor Jackson) reunite with their childhood friend, teenage singing sensation Roxanne “Roxie” Andrews (Coco Jones), whose music label is sponsoring a songwriting contest at a teen club. Cyrus, who writes music under the name “Truth,” crafts a heartfelt and contest-winning rhyme about Roxie but to his dismay, his work is mistakenly attributed to Kris. Lacking the confidence to step forward, Cyrus stands by while Kris not only takes credit for the lyrics, but ultimately begins to win Roxie’s heart too. Now, it’s up to the true poet to overcome self-doubt, seize the opportunity to reveal his authentic self, and pursue his dreams. Bonus materials include an exclusive extended scene of Cyrus’ rap battle!! 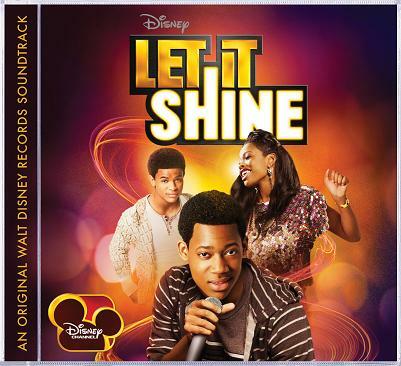 The Let It Shine Soundtrack is also available!